Quench your European wanderlust with a spectacular sail commencing in beautiful Barcelona. From there, you'll whisk away to several iconic coastal cities known for their architectural marvels, palate-pleasing dishes and sought-after shopping scenes. Kick off your grand adventure in the fairy-tale city of Dover before exploring a bevy of historical sites in Portland (Stonehenge) and Cobh (Cork). Cast off to Europe's most storied cities as you sail from Civitavecchia to Naples near the ancient Roman ruins of Pompeii. Enjoy an enchanting day at sea before whisking away to Livorno and Genoa in the center of Italian fashion, cuisine and architecture. Sail from sunny San Diego-an appealing destination to explore before or after your cruise-and visit 2 ports of call on the Baja Peninsula: Ensenada and Cabo San Lucas. Your voyage also includes 2 days at sea to soak up the onboard fun of your Disney cruise ship, from themed dining to Broadway-style stage shows to immersive play spaces for kids. Visit an eclectic variety of Mexico's hottest ports of call on a week-long cruise packed with first-rate live shows, themed pools, kids clubs, signature dining and beyond. Set sail from the sun-soaked beaches of Barcelona to discover the rich history of Western Europe's Cadiz. Stop off at the idyllic Mediterranean ports of Lisbon and Vigo. Heed the siren call of Cherbourg-a stunning french locale along the English channel-before experiencing a bit of old Britain in Dover, England. Sail from New York and call upon 1 of Canada's historic ports of call. Your voyage also includes 2 days at sea-beckoning you to relax by 3 themed pools, take in live shows and play games on the ship's sports deck. Enter jet-set mode on a roundtrip cruise from buzzing Barcelona that takes you to jaw-dropping locales across Italy and France. Call upon historic Nassau for a day of shopping, sightseeing or water park fun at Atlantis Aquaventure. Head to Castaway Cay-our own piece of paradise in the Bahamas-where games, watersports and private beaches await. Chart a course for the sun-kissed sands of Antigua. Be charmed by the romantic, timeless aura of Puerto Rico's capital. These lovely ports of call are yours to discover between exciting days at sea filled with world-class entertainment and recreation. This unforgettable island getaway takes you to Cozumel, Grand Cayman and one more tropical port of call for beachside relaxation and a bounty of Port Adventures. Three days at sea allow you to relax and enjoy your ship's many onboard delights, from themed dining to live musicals, while your home port, Galveston, offers another locale to explore. Call upon tropical Cozumel and Grand Cayman, bookended by 2 delightful days at sea. Immerse yourself in Scandinavian splendor as you zigzag to 4 breathtaking ports of call in Norway, Denmark, Sweden and the Netherlands. You'll develop a solid sense of each city's distinct vibe as you comb cobbled streets for Nordic keepsakes, indulge in local delicacies and explore popular landmarks. Sail from cosmpolitan Vancouver-yours to explore before or after your cruise-along the scenic Inside Passage and through the magnificent fjord of Tracy Arm. Gear up for the ultimate Norwegian voyage. This roundtrip cruise from Dover, England boasts an ideal blend of adventure and tranquility. Soak up beautiful British Columbia, spend 2 fun-filled days at sea and arrive in California's second-largest city. Explore vibrant Vancouver before setting sail and enjoy a day in scenic Victoria, Canada or Astoria, Oregon. Your cruise ship brims with relaxing and fun-filled features for all-including multiple pools, creative waterslides, an adult-only whirlpool spa, live shows and inventive dining experiences. Cap off this whirlwind tropical tour with a day-long sojourn to Castaway Cay, Disney’s private island retreat. Experience the many exciting amenities of Disney’s private island, Castaway Cay, and one more Caribbean port of call, where white-sand beaches, brilliantly blue waters, balmy breezes and aquatic adventures await. Spend 2 relaxing days at sea enjoying your cruise ship’s onboard delights, from nightclubs and lounges to family-friendly entertainment venues. Experience the best of the Bahamas with 3 ports of call and 3 days at sea to soak up the onboard fun of your Disney cruise ship, from delightful themed dining to daily activities for all ages. Whisk away to the charming coastal city of Ensenada and experience an unforgettable weekend getaway. Setting sail from San Diego, you arrive at the destination port early in the morning. Spend the day sampling local cuisine, exploring the hot springs or relaxing on the shore. Hop aboard your ship and indulge in the amazing amenities once again, as you sail back to San Diego-a port city worth exploring upon your return. Float between The Bahamas and Mexico on this round-trip sailing from Port Canaveral. Cover major European ground on a magnificent multi-night voyage brimming with pinch-me-I must-be-dreaming experiences. With cobblestone streets, palaces, museums and gardens, Copenhagen is lovely to visit on a Disney Cruise Line European Cruise. A Disney Cruise Line 7-Night Western Caribbean Cruise charts a course for high-seas adventure and fun in such ports as Grand Cayman; Cozumel, Mexico; Falmouth, Jamaica and Castaway Cay. Plus, you can celebrate the holidays with special itineraries, with 2 fun-filled days at sea in between on the grand decks of the Disney Fantasy. Take a weeklong Caribbean cruise from Port Canaveral to St. Thomas and Disney's own Castaway Cay, plus 3 enchanting days at sea. Head to Castaway Cay, our own piece of paradise in the Bahamas, where games, watersports and private beaches await. Call upon historic Nassau for a day of shopping, sightseeing or water park fun at Atlantis Aquaventure. Back onboard soak up Broadway-style shows, enchanting themed dining, delightful deck parties and activities for the whole family. Strike a balance between relaxation and adventure during this "double-dip" roundtrip cruise from Port Canaveral, granting you a day in Nassau and 2 opportunities to play at Castaway Cay. Envision swaying on a hammock at Serenity Bay with your favorite beverage in hand, pedaling up and down quaint bike paths or challenging your core with stand up paddle boarding. The possibilities are endless. Enter a laid-back state of mind on a blissful roundtrip sailing from Port Canaveral. Soak up storybook sights in your departure city of Copenhagen, and then cast off on a European tour brimming with unique possibilities. Set sail for Castaway Cay-Disney's private island paradise-where you can feast on barbecue fare and enjoy watersports, beach games and even more fun in the sun. Created with your entire family in mind, the Disney Magic combines classic nostalgia and modern amenities with Disney's signature service. Step aboard for spacious staterooms that ensure everyone's comfort. Glide along the tip of California's sparkling coastline to the sun-drenched shores of Cabo San Lucas and experience an unforgettable weekend getaway as you celebrate Halloween. Embrace the upbeat vibe of Miami before immersing yourself in the enchantment of a Disney cruise. Seven days at sea will grant you ample time to take advantage of our popular onboard allures like dazzling live shows, pools on deck and exquisite dining. A Disney Cruise Line 5-Night Western Caribbean Cruise charts a course for high-seas adventure and fun in such ports as Cozumel and Castaway Cay. Plus, you can celebrate the holidays with special itineraries, with 2 fun-filled days at sea in between on the grand decks of the Disney Magic. 14 Days, Continental Connoisseur Sharing the limelight with her fleetmate, Crystal Serenity is one of two magnificent ships that has earned Crystal Cruises the distinction of being The World's Most Awarded Luxury Cruise Line™. 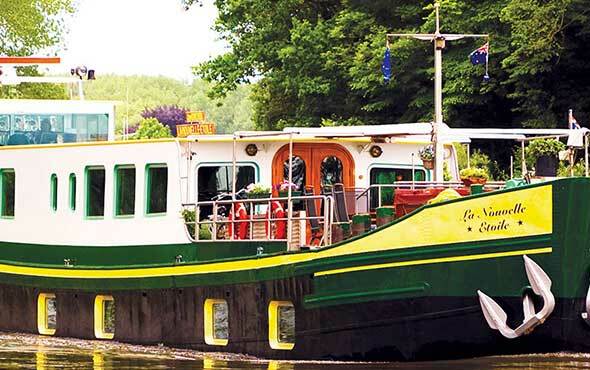 Watch life unfold along the Moselle River from refined 'La Nouvelle Etoile,' unwinding in its on-deck spa tub. See Luxembourg's fortifications, the Roman city of Trier and charming Zell. Partake of wine tastings and visit a medieval castle set in a forest. 18 Days, Exotic Isles of Southeast Asia Embark on Great Barrier Reef adventures before exploring Indonesia’s Spice Island, Borneo’s rainforest and Bandar Seri Begawan’s mighty mosques; enjoy immersive discovery on overnight stays in Manila and Hong Kong. 7 Days, Tulips & Windmills Cruise the inland waters of the Netherlands and Belgium to discover the land of windmills, tulips and wooden shoes; marvel at the spectacular modern architecture of Rotterdam, the medieval charm of Ghent and the artistic masterpieces of Antwerp. 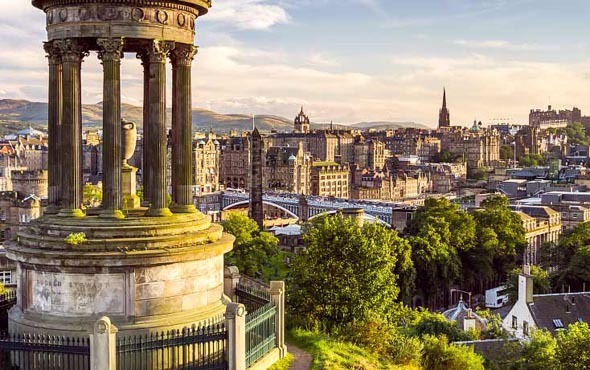 Explore Scotland and the Emerald Island on a journey encompassing hilltop Edinburgh and the rugged Scottish Highlands, as well as Dublin, Belfast and scenic Western Ireland. 7 Days, The Rhine & Oberammergau 2020 A rare opportunity to attend the legendary Oberammergau Passion Play; a 3-night pre-cruise experience* enhances a week-long journey through the UNESCO-rich Upper Middle Rhine Valley.